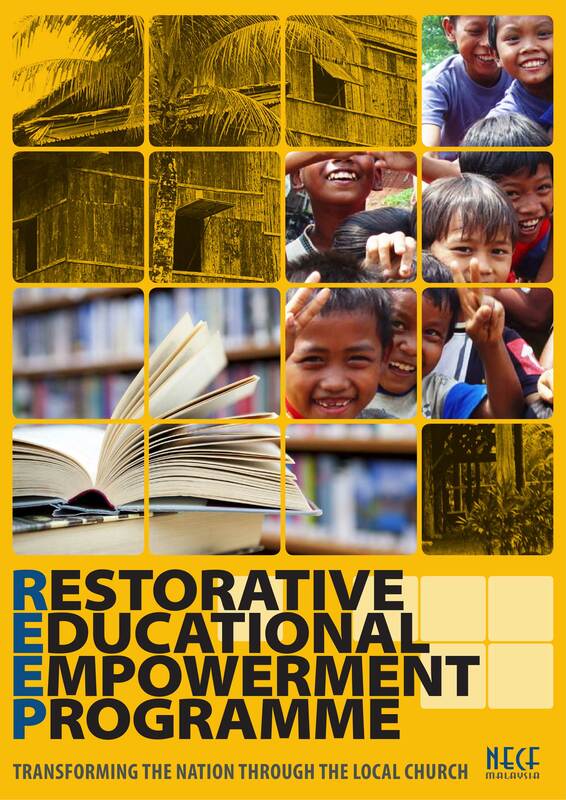 The Restrorative Educational Empowerment Programme or REEP seeks to raise the standard of English, Mathematics and Science amongst underperforming school going children in the country. Essentially a well structured after school tuition programme for Primary Standard 1 to 6 level to be carried out a week, it will equip participating children with the basic foundation skills – 3 R’s (reading, writing and arithmetic). Guidance and motivation will also be provided in order for them to have interest and the will to study. Raises the number of volunteered tutors required and provides place for their training. Recruits school going children and provides proper place for the tuition programme. Churches who wish to carry out on their own are both Programme Owners and Tuition Centre Providers. Please download the checklist and go through the requirements. If the requirements are met, please download the application form to fill and send it to NECF (for the attention of jackcheah@necf.org.my) for further action.